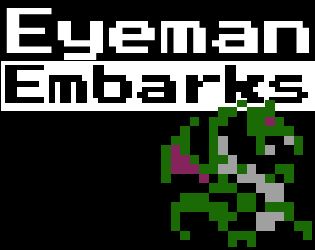 Guide the hero Eyeman through the monster infested dungeons of the evil wizard Bob. Use WASD or the arrow keys to move and break down walls with your cudgel. Look for the door that leads to next floor of villainy, each more treacherous than the last. Lead on, Adventurer! Made with Loveable Rogue art by Surt on OpenGameArt.org and the Unity 2D Roguelike project.